In his novels, Kazuo Ishiguro shows contemporary man as a trauma that emerges as a result of the encounter between two different-level worlds, experiences, or identities. Culture is for the writer a space of gaps. He was one of the first litterateurs to reproduce the experience of man’s estrangement from culture, of the hybridization of culture and identity. Metaphors of pain and images of traumas run though his oeuvre. 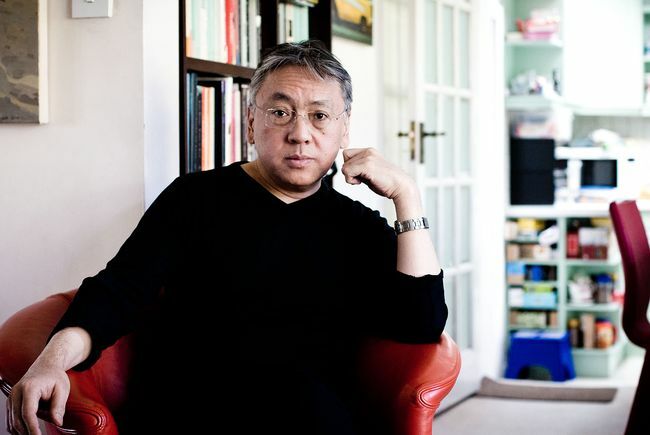 Ishiguro is part of modern-day English literature courses throughout the world as a writer of multiculturalism. By contrast with the last year (when the prize went to Bob Dylan), this choice of the Nobel Committee can hardly be called biased, disputable, or unexpected. As Kazuo Ishiguro is one of the most brilliant prose writers in contemporary literature, this award has evoked a lot of warm responses in the media and social websites. The British author’s mastery can be explained by a thoroughly intermedial nature of his oeuvre. Like the works of Paul Thomas Mann, the musical intertext attracts and musical ecphrases fascinate thousands of readers. Natalia Zhluktenko, a longtime researcher of Ishiguro (her publications “Kazuo Ishiguro’s Nocturnes: Transposition into Postmodernism,” “Textual Strategies of Kazuo Ishiguro’s Novel The Remains of the Day,” “Topos in Novels by Kazuo Ishiguro,” etc., are very important for the development of English studies in Ukraine), emphasizes the important role of musical codes in understanding the mentality and the inner world of heroes in Ishiguro’s books. For example, in his novel The Remains of the Day (for which the author won the Booker Prize in 1989), the lack of musical overtones in characterizing the butler Stevens “is as eloquent as it is in multidimensional chronography of the plot, for the author also uses this method to convey indirectly the ‘ideal butler’s’ inner ‘deafness,’ constraint, and emotive poverty of world perception.” The musical palette of Ishiguro’s later texts is much richer – musical leitmotifs and associations actively function in When We Were Orphans (2000) and Never Let Me Go (2005). Music seems to be setting off the traumatic horrors of the individual who has found himself in a different world and is forced to dilute and shed his skin in order to find a place in it. Music helps the individual in his aspiration for harmony which is impossible to achieve in the world of today. In the novellas Cellists and Nocturne, and the novel The Unconsoled, heroes seek a foundation in the past full of individual and collective traumas. Ishiguro is a “deliberate multiculturalist.” He has often confessed in interviews that he wants to be the writer of a globalized world. Seclusion within the limits of one culture is unthinkable for him. Cultural isolationism is injurious, and rejection of it does not mean erasure of ethnic identity – you just dilute some day in the amalgam of other cultures and voices, as is the case of, say, present-day London. The first novel A Pale View of Hills (1982) won the Winifred Holtby Prize “for the best expression of a sense of place.” This fact shows what a great role space, mix of toposes, and their projection onto a multicultural perspective play in Ishiguro’s oeuvre. His heroes reproduce an identity that resembles a kaleidoscope. This identity speaks in the voices of various cultures which generate a new energy for self-cognition and for life in general. Stevens, the protagonist of the novel The Remains of the Day, is an example of the intersection of English and Japanese cultures which create together a different type of world perception. Ishiguro has been trying to organically absorb the authentic places of the English world, the key ideas that determine the English way of life. But, nevertheless, the writer’s “Japaneseness” does not erode – it can be traced, for example, in the titles of his artworks. The original of Ishiguro’s novel An Artist of the Floating World includes a loan translation of ukiyo-e, one of the best-known trends in Japanese art, which glorifies the illusory beauty of a transient world, calls up an association with the portraits of geishas and Kabuki theater actors, and, hence, prompts one to consider the work as Orientalistic or pseudo- Orientalistic. Kazuo Ishiguro is a writer of the “unsteady” and “floating” late-20th-early-21st-century world. An ethnic Japanese became one of Britain’s most successful authors. He was called “one of the best young British writers” in 1983. Besides, he was awarded the Whitbread Book of the Year Award for the novel An Artist of the Floating World and the Booker Prize for The Remains of the Day. Ishiguro is a virtuoso prose writer, an exponent of multiculturalism in contemporary world literature along with such authors as V.S. Naipaul, Salman Rushdie, Hanif Kureishi, at al. He knows how to immerse the reader into a designed world – sometimes romantic and sentimental, sometimes cruel and cold. Ishiguro teaches readers to make shrewd observations and develops artistic taste. His oeuvre is, above all, esthetics and only then the problems of today. You cannot help admiring Ishiguro’s prose, but it will only suit the tastes of those who value psychological insight and the literature that unveils the human being against the backdrop of time.